Wings: they’re an iconic bar food, a staple of the Midwest, and the perfect shareable snack that goes with any sauce you want. Finding the perfect wings can be tricky, though. Here at Barleycorn’s we have cracked the code of what it takes to create the perfect chicken wing. 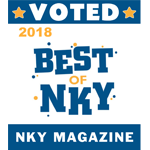 In fact, we have the best wings in Northern Kentucky. One of the best aspects of wings is that they go with any sauce you want, and we have a wide variety of fan-favorites to choose from. In the mood for something sweet? Try our Sweet Teriyaki. Need something savory? We make Homemade BBQ Sauce or try Parmesan Garlic or Honey Sriracha. If you’re a fan of spice, we won’t let you down. With three levels of Buffalo Sauce, Spicy Garlic, and Smoky Chipotle BBQ, you’re guaranteed to find something you love. Our most popular dish on the menu is our Doc Style Wings. When we served only our regular wings, we had a customer come in who always asked for them to be extra crispy. We found that frying them, coating them in hot sauce, and frying them again gave them an extra crispiness and flavor-packed punch that we couldn’t find anywhere else. This customer was Doc, and soon more people started ordering their wings the way he liked them. 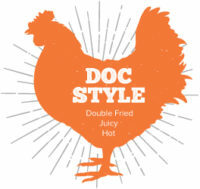 Thus, our Doc Style Wings came to be added to the menu, and they continue to be a favorite to this day. 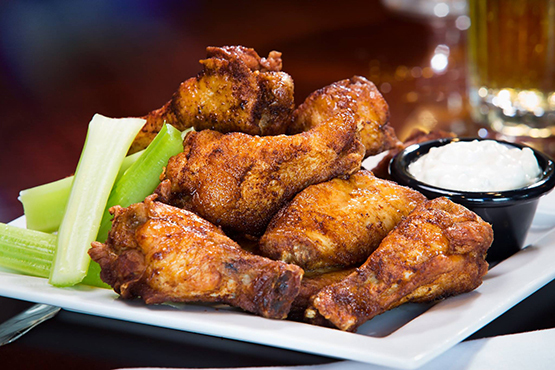 If you’re looking for jumbo, juicy wings that will leave you feeling satisfied while still wanting more, come over to Barleycorn’s and try our wings for yourself! Get hooked up with the latest Barleycorn’s news. © 2018 Barleycorns. All Rights Reserved.